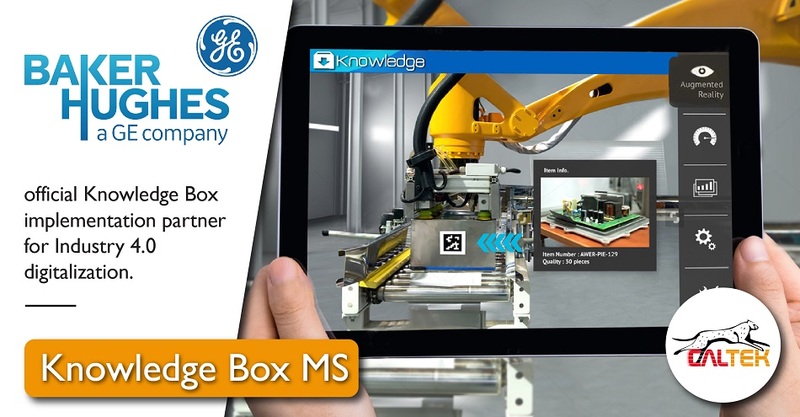 Knowledge Box MS (Manufacturing Systems) is the new solution that allows you to have a virtual assistant always with you! 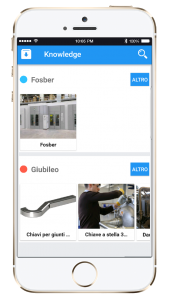 An innovative tool ready to solve the company needs, improving operators’ skills in human-machine interactions within a Industry 4.0 context. 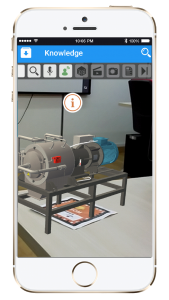 Information systems and devices always connected to have a fast, intelligent access to Augmented Reality contents related to maintenance, safety, security, training and troubleshooting. 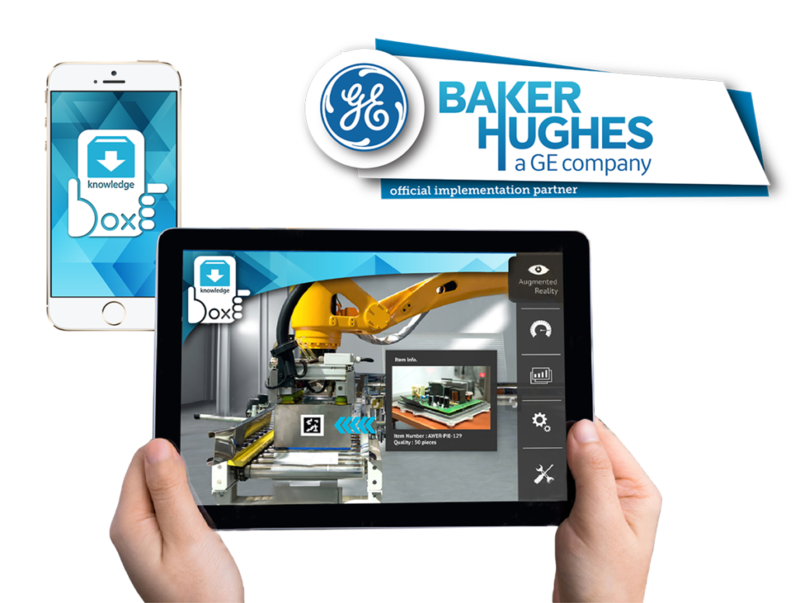 The agreement signed with Baker Hughes GE (one of the biggest USA company in Oil services, entered in General Electric Oil & Gas company since 2016) provides for the implementation of “Knowledge Box MS” in Vibo Valentia plant where it’s actually in use as Virtual and Augmented solutions for plant digitalization. Troubleshooting and Security in one tool! Enhances operators’ skills. 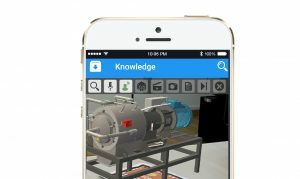 It collects and organizes Big Data from machines and production lines. 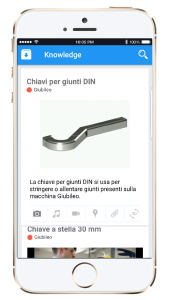 The information is then used by operators in a Smart Way using Smartphones, Tablets and Wearable devices with a fast, intelligent, visual approach and through the help of the personal assistant SOPHOS-MS. 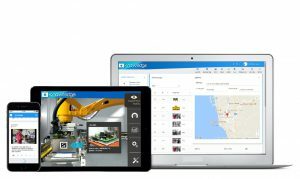 It allows recreating for each machinery and production line the assets needed to manage Maintenance, Safety, Training and Troubleshooting in a Smart and Digital way. 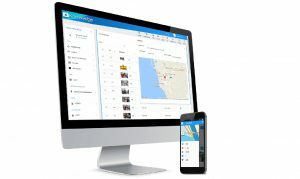 Available on the Cloud, it allows a direct access to data needed for the system setup and can be connected to the company information systems. 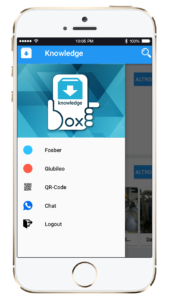 Available on Android and iOS devices, it integrates all the functionalities the Operators need to interact with the machine in a Smart way, reducing costs and increasing productivity. 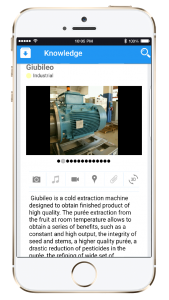 The app is automatically updated according to the data contained in the Smart Control, providing a set of specific functionalities for each digital asset.